Anyone who likes to play the game of poker will eventually make their way over to a casino in the hopes of winning some money at a hand or two. Casinos actually house a couple of very different styles of poker. The first kind is likely the poker variation you were expecting to play when you came to the casino; you against some other players, a professional dealer in the middle, and you’re trying to take the pot with the best hand. The other version, casino poker, is a little bit different. The two types of poker are usually split into two different areas of the casino. Bigger casinos have poker rooms for players looking to playing against other players. The casino makes their profit off of the game by taking a percentage of the pots as their rake. The casino poker games that you can find in the regular casino room, on the other hand, are not played against other players. Instead, they are played against the house. If the house has a better hand than you do, you lose your ante and your bet, and it all goes to the casino. This is very similar to your odds when playing games like slots and bingo available at www.bingogamessite.com. The biggest difference between casino poker and regular poker is that casino poker games have a house edge; a player does not stand to gain money in the long term. Think about it this way; when you are playing against other players, odds and luck as well as skill will all come into play; you can bluff and read their bluffs, and players familiar with the game have a good chance of winning money in the long run. The rules in casino poker games, on the other hand, mean that you are unlikely to win match after match at the hall. Even skilled poker players will lose money to the casino in the long run, because the payouts do not match the odds. Casino poker is still popular with those who enjoy games of chance, so we will take a quick look at some of the most common versions of poker that can be found in casinos. Caribbean Stud Poker. This is a version of five card stud. 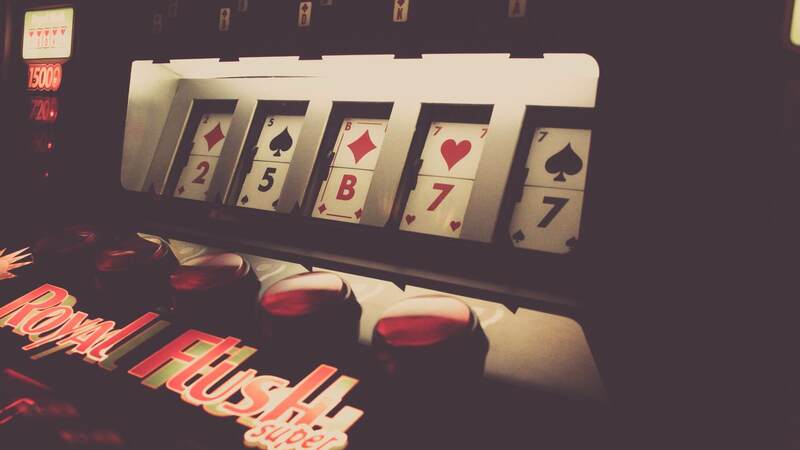 Casinos will pay out not only for a hand that beats the dealer’s, but also odds on the hand that a player has. The rarer the hand, the higher the payout. Chinese poker. This form of poker is getting more popular as it takes a bit of concentration and a lot of luck to win. And luck of course is where the casinos make their money; payouts are lower than odds. Pai Gow poker. The same as the game pai gow, but played with cards instead of dice. Two hands are created out of seven cards, and both must beat the dealer. If you like casino games and poker, then playing poker in a hall might not be such a bad idea. Remember, though, that playing casino poker games isn’t the same as playing regular poker games; you’re playing the house against the odds, and won’t rack up a good bankroll in the long run.